World of Warcraft has been around a long time now. Even if you’ve been playing since launch day, you may not have been playing a Mage, or you may be relatively new to the game altogether. Either way, when a game is around for this long there are so many things to know about that it’s easy to overlook or miss some. How could you know that it’s possible to learn a new Polymorph spell through fishing? Or that you can teleport to the place that Dalaran used to be? Or that Mages can acquire a floating ice berg raft? All of these things are possible and we’re going to be taking a look at these lesser-known Mage spells, items, glyphs and secrets. Polymorph is one of the greatest spells in the game. It’s a powerful crowd control ability in both PVE and PVP, but it also allows you to express your individuality through your choice of animal. 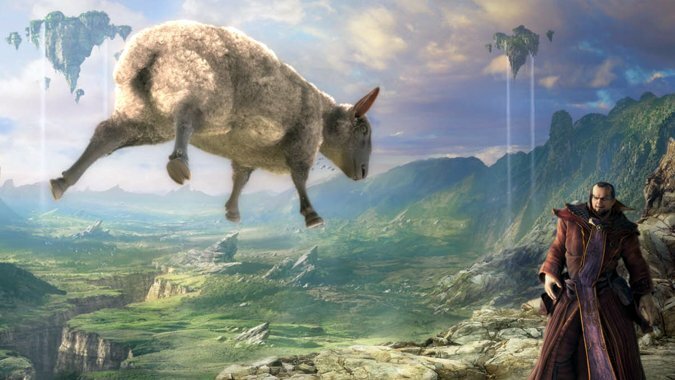 Unfortunately, there’s some bad news about Polymorph as of patch 6.0. Many of the Polymorph variants that were introduced into the game via glyphs were changed in that patch. Now items exist that could theoretically teach us how to use them, but they aren’t currently obtainable by any means. So for now, consider these the “lost Polymorphs,” hopefully they will come back but right now there’s no way to cast them. They include Penguin, Polar Bear Cub, Monkey, and Porcupine. There are also a few that have spell IDs but no apparent way to obtain them: Peacock, Snake, and Turkey (I need that last one). The good news is that we still have four other variants to choose from that are obtainable by various means. Learning Polymorph: Pig used to involve this quest in Azshara that you could do for Archmage Xylem after reaching level 60. When Azshara was revamped in Cataclysm, this quest chain was removed. You can now learn how to cast Polymorph: Pig from The Amazing Zanzo in Dalaran for three gold. 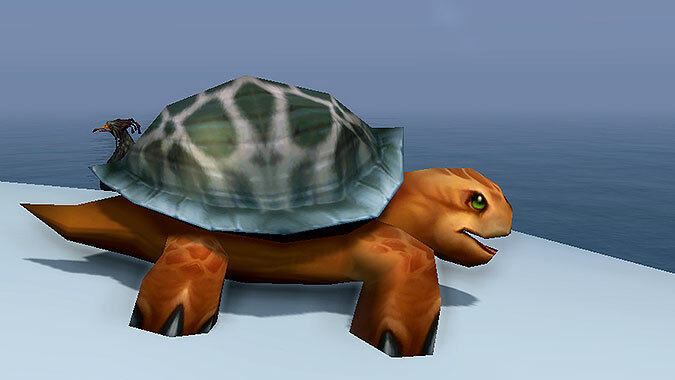 Tome of Polymorph: Turtle was formerly only available as a drop from Gahz’ranka in the original Zul’Gurub. You had to first fish up Zulian Mudskunks and then combine them using a Mudskunk Lure in order to summon the boss, which then had a chance to drop the Tome. When Zul’Gurub received a revamp and became a five-player heroic dungeon in Cataclysm, the tome could no longer be obtained this way. Now, the only way to find one is to fish it up from pools in Cataclysm zones — Uldum, Twilight Highlands, or Tol Barad. It’s not bind on pickup and can occasionally show up on the auction house. This variant was added in Wrath of the Lich King. You can buy Tome of Polymorph: Black Cat for 2500 gold from Endoora Morehead in Dalaran. It’s a limited availability item on a timer so it may not be there the first time you check, but don’t be discouraged. You can always teleport back and check periodically if you aren’t lucky at first. Endoora is actually a treasure trove of Mage miscellany, as she also sells Tome of Dalaran Brilliance for 475 gold and the portal variation of the Ancient Dalaran teleport detailed below. Her prices are subject to Kirin Tor reputation bonuses, so these amounts might not be the prices you’ll see! This is a limited time item as well because you can only obtain it during Noblegarden in April. Tome of Polymorph: Rabbit is sold by Noblegarden merchants for the reasonable price of 100 Noblegarden chocolates. Mages of both factions are all given the standard teleport and portal spells to their capital cities. This next lesser known teleport/portal spell is admittedly more useful to Alliance players because it gives us an easy way to access the northern section of the Eastern Kingdoms. Horde Mages who want to visit this part of the world can just teleport to Undercity. One important thing to note about this spell is that Ancient Dalaran is a giant hole in the ground. You should cast Slow Fall on yourself before you cast it, or be paying attention once the loading screen is finished, because you’ll need a way to stop yourself from meeting an abrupt end. This book will only teach you how to teleport yourself to Ancient Dalaran. The spell for Ancient Tome of Portal: Dalaran is a limited availability item obtained from Endoora Morehead in Dalaran for 150 gold. Once you have it, any friends sent through this portal must have their own way of landing because a Slow Fall cast on them before they take it will not work. Use this knowledge as you see fit. As for actually obtaining the spell, here’s what you have to do. First, head over to Scarlet Halls. You can obtain this spell on any dungeon difficulty — the normal version is intended for level 30 characters. The boss you’ll need to kill is Flameweaver Koegler, and he’s right at the very end. You’ll find him hollering about books and the Scarlet Crusade’s shame. 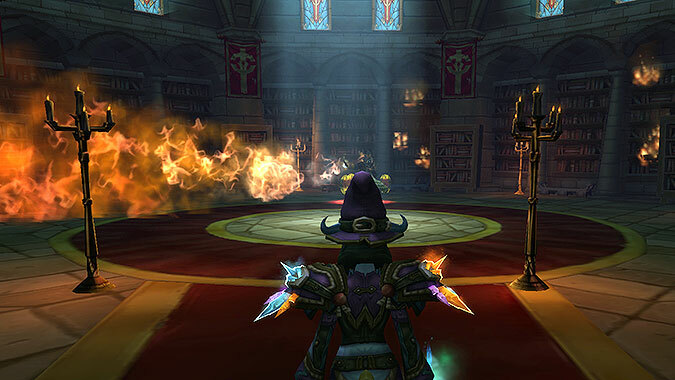 If you’re doing the heroic level 90 version of the dungeon he’ll still die quickly but just make sure he never gets a chance to burn the bookshelves during combat with his Book Burner ability. If he does, the book you need will not spawn. Once he’s dead, take a look at this bookshelf shown below. (Note the location of the entrance in the screenshot, the door is on the right). It’s a blue book that can only be looted by Mages, and only if Koegler wasn’t able to burn anything. From it, you will loot Ancient Tome of Teleport: Dalaran. Using the book will teach you the spell, but note that the book is not bind on pickup and you can still loot it even if you already know it. In this way you could sell it on the Auction House if you like, or buy it there if it’s available. Although all available glyphs are now listed right there in the interface, it’s fairly common to only pay much attention to Major glyphs that actually affect your gameplay. But the Minor glyphs have some fun and even useful effects. This lets you understand any of your faction’s racial languages. I’ve never seen anyone using other languages on a non-RP realm, but if they do you’ll understand them as long as you’ve got Arcane Brilliance active. Teaches you a spell that will summon a random familiar for you. It will be either icy, fiery or arcane, in case you want your own tiny version of your water elemental. This glyph lets you use any of your aforementioned Polymorph spells on critters. Unfortunately, this glyph is experiencing problems as of 6.2 and can no longer be cast on multiple critters at a time. Alters the way Blink functions by allowing you to Blink in the direction you are moving, and not the direction you’re facing. This can actually have useful applications if you’re coordinated enough to use it. Strafing, sideways Blinks can come in handy! A non-negotiable glyph for me and always in use – it makes it so that anytime you cast a teleport spell you gain a 70% speed buff for an entire minute. It’s great for dashing around running errands. These three glyphs applicable to Frost only, allowing you to control the way your water elemental looks and its size. This last “secret” is actually an item. You’ll need to be at least Revered with the Mists of Pandaria faction, The Anglers. It functions exactly like the Anglers Fishing Raft except that it’s Mage only (you won’t see it available to purchase on a non-Mage character) and it’s a much cooler spell than a plain old raft. Finally, this achievement isn’t Mage specific but it’s of particular interest to Mages. 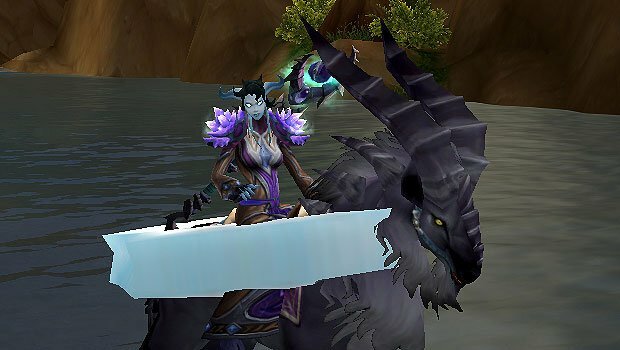 If you weren’t playing during Wrath of the Lich King, you may not know about the Kirin Tor Familiar. 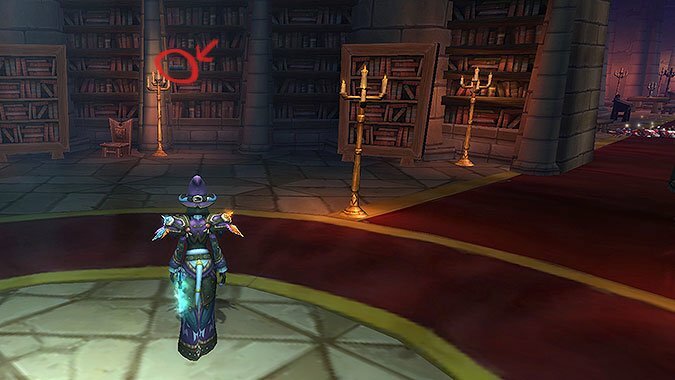 In order to get it, you just need to read eight specific Mage-related books that spawn in various points around Dalaran. Completing the achievement will reward you with The Schools of Arcane Magic — Mastery which teleports you into an enclosed room atop the Violet Citadel, where you can relax with your friend Archmage Vargoth. It’s a neat little bit of Mage lore to be able to go here, and you’ll have your own familiar too. 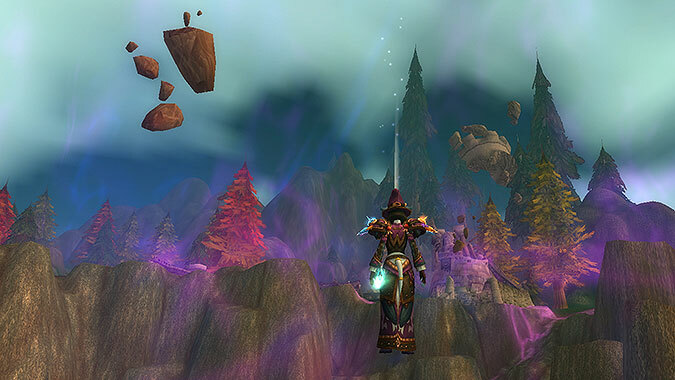 If you’re interested in Mage lore, the text of the various books is chock full of it and they’re all worth a read as you work towards the achievement!